Treemendous.in is the largest Garden store chain of Bangalore spread over 9 leading malls. We have provided green solutions to corporates like Linkedin, Embassy group corporate parks, Co-works coworking spaces, Hilton hotels, Royal Orchid, etc., We also offer customized solutions for Balcony Gardens, Terrace Gardens, Vertical Gardens, and Outdoor Landscaping. Treemendous.in will transform your existing space into your own little Garden. Grecor designs and develops innovative products and solutions for Terraces, balconies, Lawns, Farmhouses, Lobbies and Green Interiors. For the well heeled and with a taste of finer things in life as well as for those with love for greens, this comprehensive range of products and solutions exude unique aesthetics. Grecor offers eclectic range of thematic greendécor solutions such as Zen, Antique, Rustic, Victorian, Forest and Ethnic. These themes dovetail beautifully with interior styles to create seamless décor across indoor/outdoor spaces. 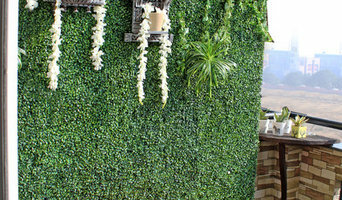 Grecor leads this new evolving trend of Nature inspired unified décor where balcony is called Outdoor Living Room and Drawing Room is an Indoor Garden. Grecor designs and develops innovative products and solutions for Terraces, Balconies, Lawns, Farmhouses, Lobbies and Green Interiors. For the well heeled and with a taste of finer things in life as well as for those with love for greens, this comprehensive range of products and solutions exude unique aesthetics. We are home design and landscape specialists and can create a new home for you but also can restore and renovate your old home. Whether it is your kitchen, living space, dining room, bedroom or glamour room that needs to be done up, we do it for you ! False roofing, painting, electrical, plumbing, wood work, you name it and we execute it. At very competitive prices. We also design co-working spaces for you and execute the project. 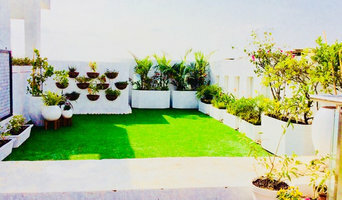 Balcony, rooftop gardens We design and create gardens and also maintain them for you. Some of the styles of garden we set up are Traditional, Mexican, Spanish, Zen gardens and many more such Informal and formal gardens. What does a landscape architect or landscape designer do? Landscape architects, who typically belong to the Indian association of Landscape Architects (ISOLA), are trained to develop comprehensive structural plans that include plants, hardscaping, water use, drainage and more. They can also design any structure that will be added to the landscape, such as gazebos, retaining walls and other garden features. Typically, the expertise of a landscape architect can apply to understanding your space and natural environment. They work closely with architects and other contractors to develop your landscape or garden in accordance with the other plans. 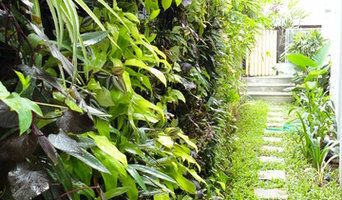 Landscape designers or garden designers specialise in aesthetics and horticulture. Keeping in mind both style and functionality, a landscape designer will analyze your architecture and garden to produce a plan that may or may not include location and materials for walkways, patios, water features, garden aspects and more. In addition, he will carefully assess your geographic region to choose plants, trees, and flowers that will flourish naturally, as well as address concerns such as drainage, screening and soil conditions. Certain landscape architects and designers only help with the planning portion, while some may deliver the plans and then oversee a hired landscape contractor. Others follow a design-build approach — take care of both the design and all aspects of the landscape architecture and construction. 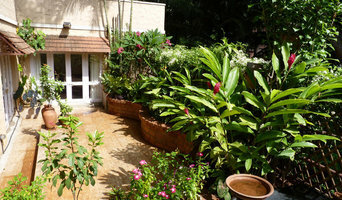 Don’t have a green thumb to main the lush and lovely grounds that will be the envy of all your neighbours. Hire a gardener or landscape contractor to create and maintain your garden. Landscape firms will be able to bring your outside space to life with flowers, plants, trees, shrubbery, lawns and all sorts of verdant, floral features. 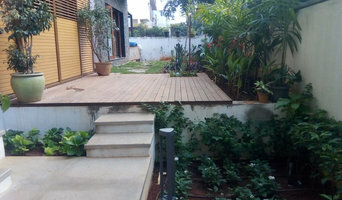 Landscaping companies in this category execute gardens that have been drawn up by a landscape designer or architect, while some can also provide design services of their own. Gardeners, on the other hand, will deal only with lawns, plants, trees and flowers. With a thorough understanding of horticulture and will be able to choose plants, garden edging and materials that will complement your home and thrive in the climate. A good gardener will take care of weeds and pests, and perform other tasks such as pruning to keep your garden looking its best. Find landscape firms on Houzz. Narrow your search in the Find Pros section of the website to landscape contractors & architects. You may also look through photos of landscapes to find one you like, then contact the landscaping company who worked on it.